There are so many product highlights this season we thought a little ‘Versace favourites’ blog post was in order. First up a pair of Versace Iconic Low-Rise Boxer Trunk in Bordeaux Red, probably my favourite piece from the whole collection. I love the rich red tone for Winter and think it sets off the gold perfectly. 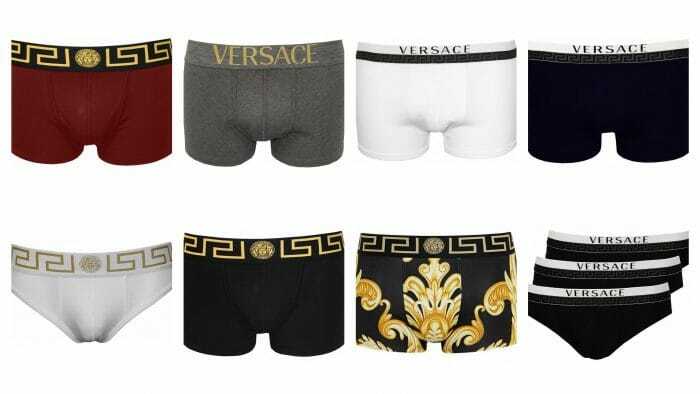 Next would be the classic everyday Versace boxer shorts in white and navy. Featuring a slightly more simple waistband and Versace underwear logo, these pants are the perfect choice for everyday. If you really want to make an impact our Versace baroque boxers will ensure you are remembered for all the right reasons. Finally, if Men’s briefs are more your thing, our ornate Versace men’s briefs provide all the usual support but with the added punch of some Versace glamour to boot.